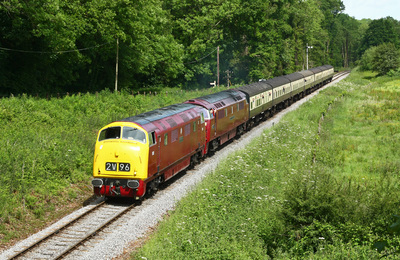 Once again the WSR held their annual Mixed Traction Weekend, to make up for the lack of Diesel Gala's in their calender. 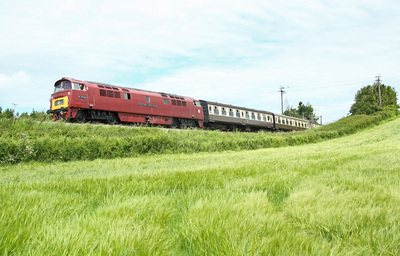 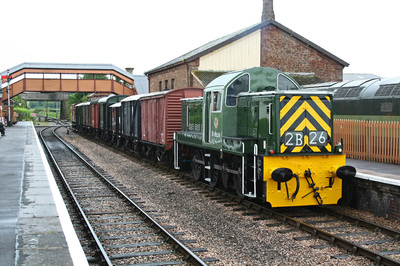 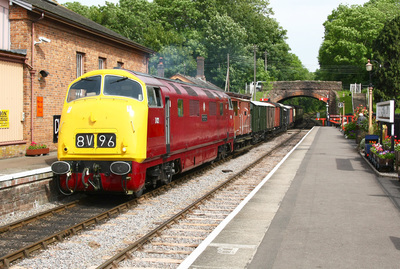 The Friday of the event was exclusively run by Hydraulic locomotives. 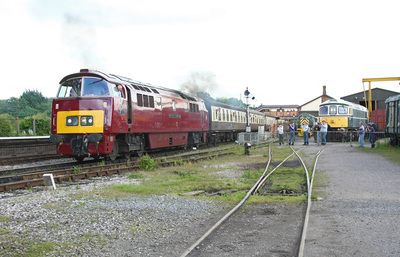 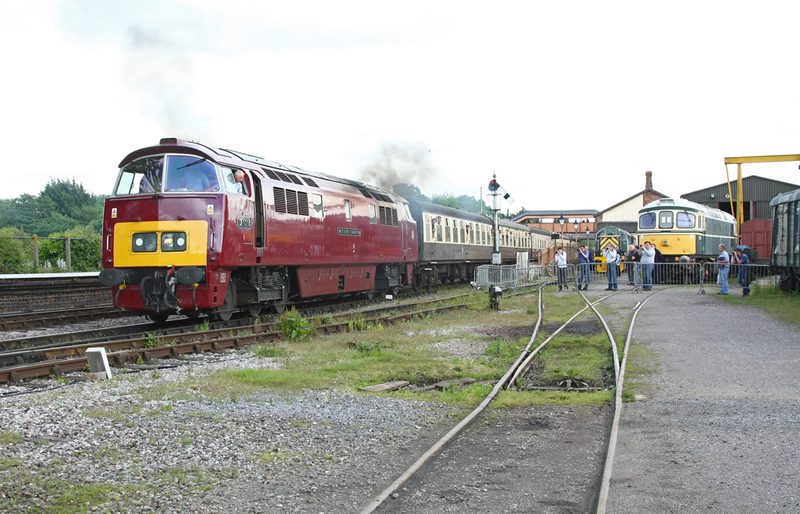 2014 marks the 50th anniversary of the closure of Taunton's Steam Shed, so there was a definite feel of the Western Region within the line-up of Diesel Power that would have been vanquishing steam at the time. 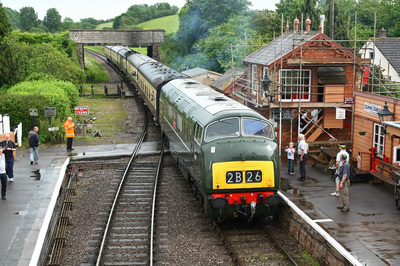 The Diesel & Electric Preservation Group was working hard to ensure the locomotives in their care were ready in time, with the Diesel Traction Group's D821 'Greyhound' and D1015 'Western Champion' visiting (D821 had spent some time at Williton prior to the event, being worked on by members of both preservation groups). The full diesel line-up was D9526, D7017, D821, D832, D1010 & D1015 (the DMU also put in an appearance, not to mention a steam locomotive on the Saturday & Sunday). 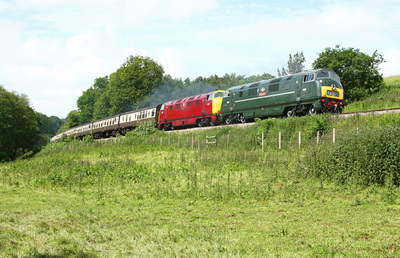 The photos below give a good idea of what the weekend entailed, taken on all 3 days of the event. 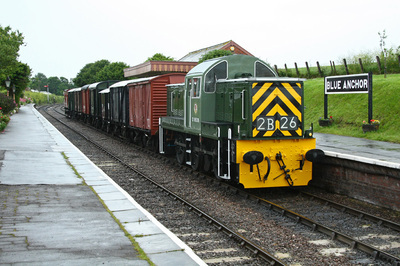 I was secondman on the Friday and Sunday, so most of the photos below were taken on the Saturday when not playing trains! 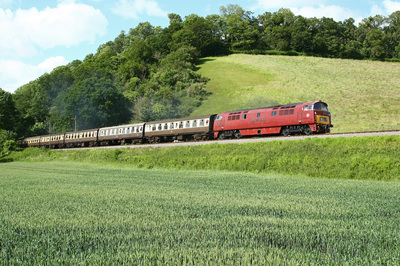 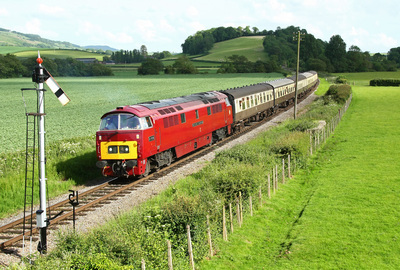 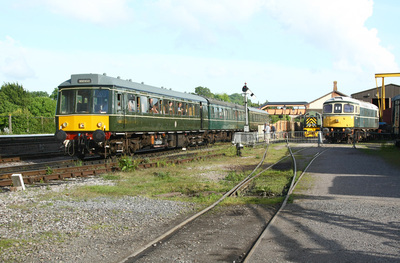 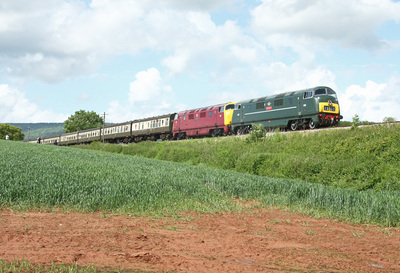 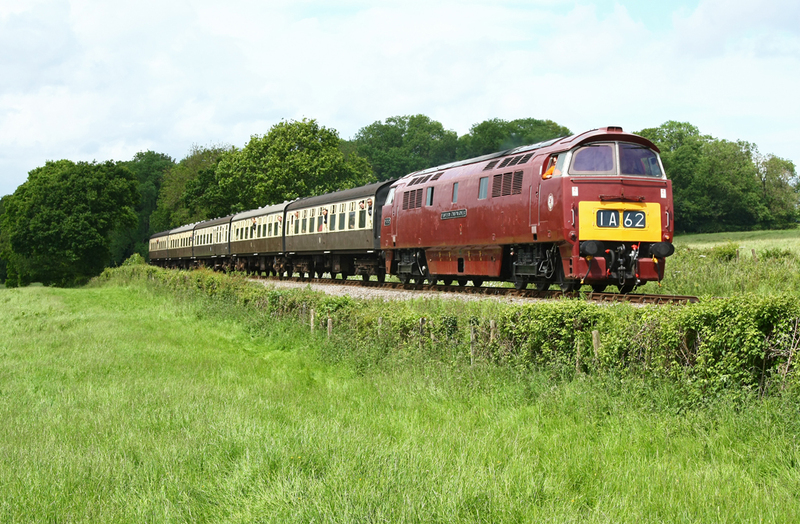 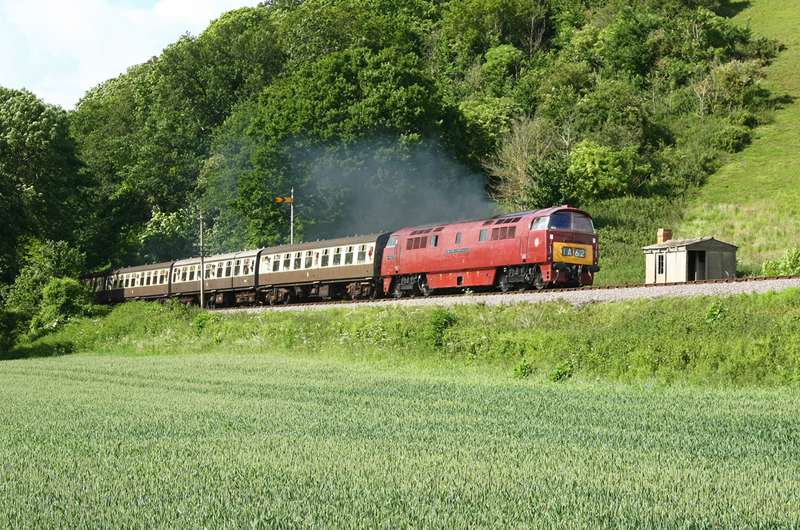 The Friday evening included something a bit different for the WSR, an 11 coach train (advertised as 12 coach but problems with a coach put pay to this) ran from Bishops Lydeard to Minehead and back. 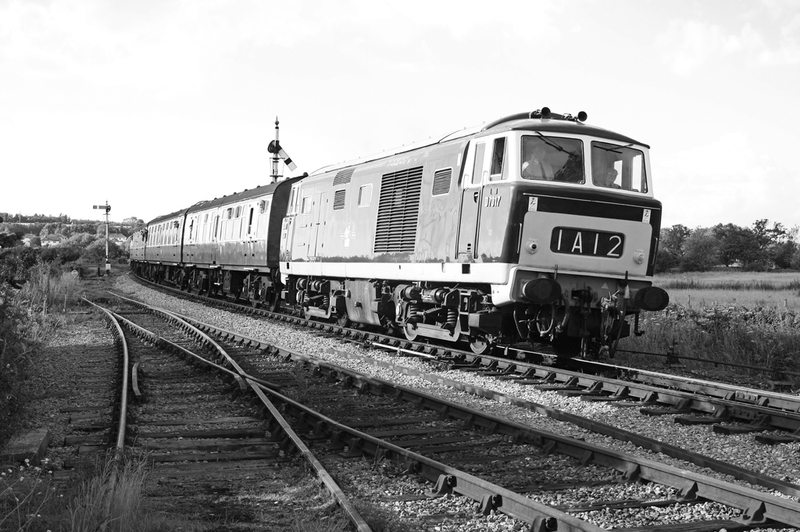 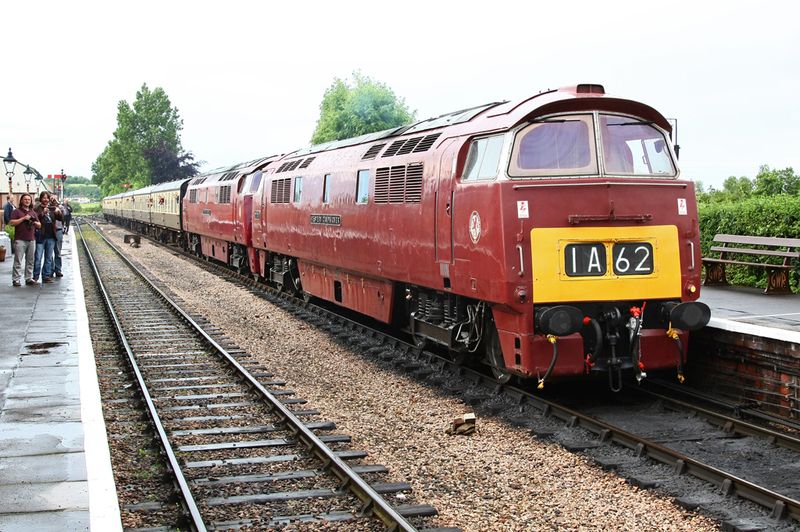 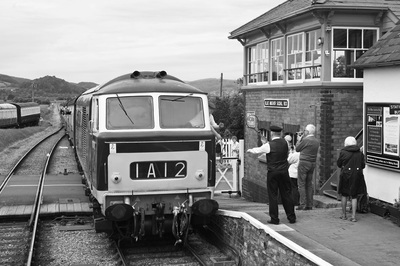 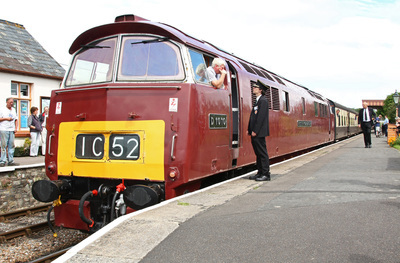 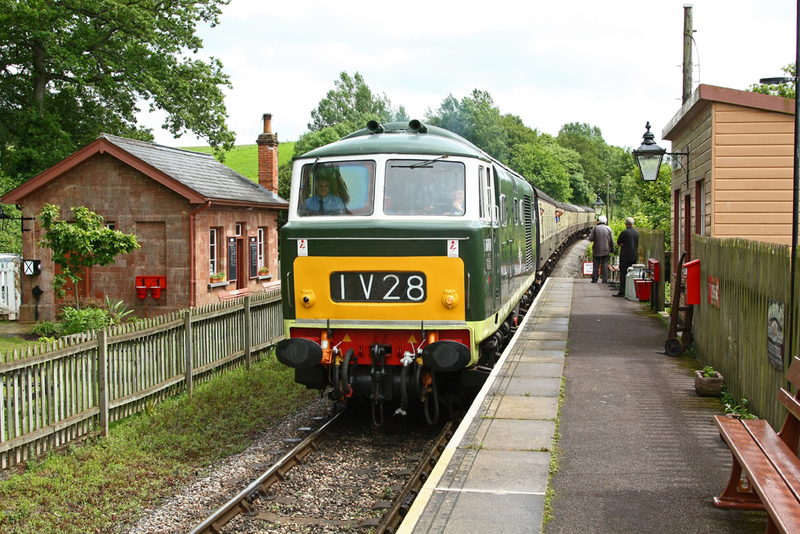 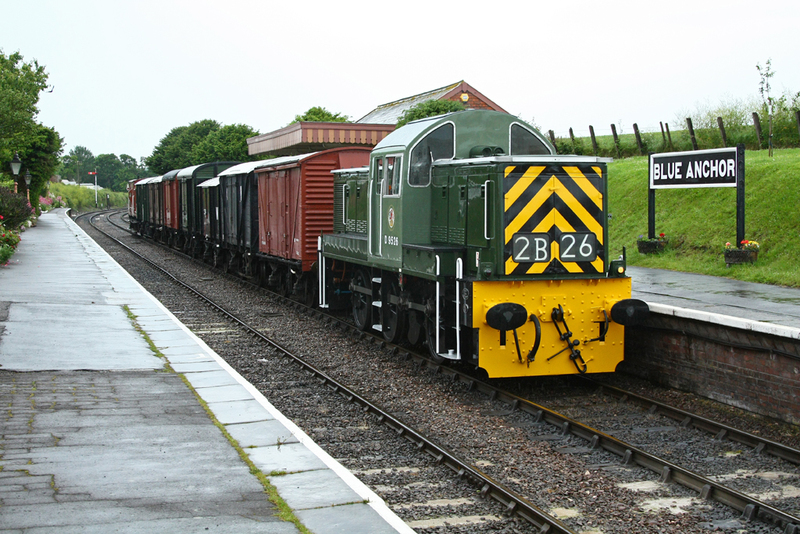 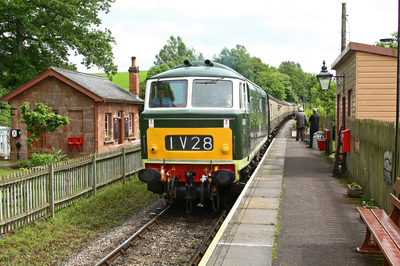 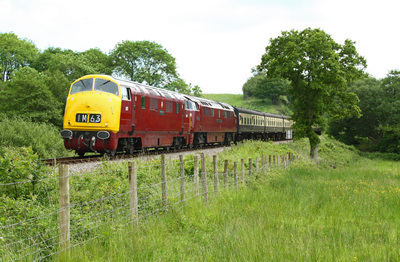 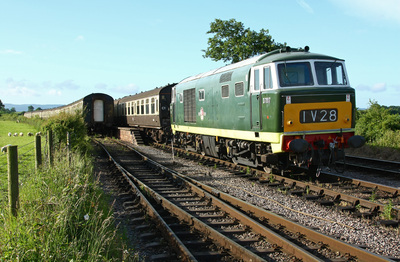 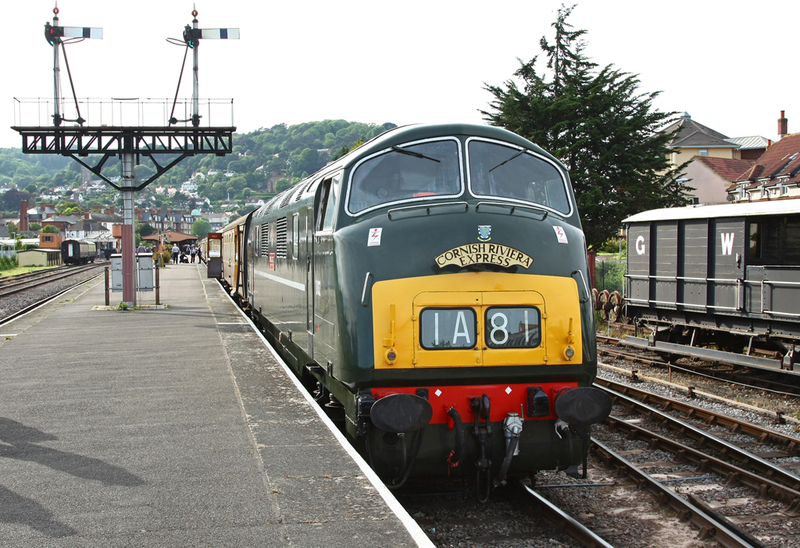 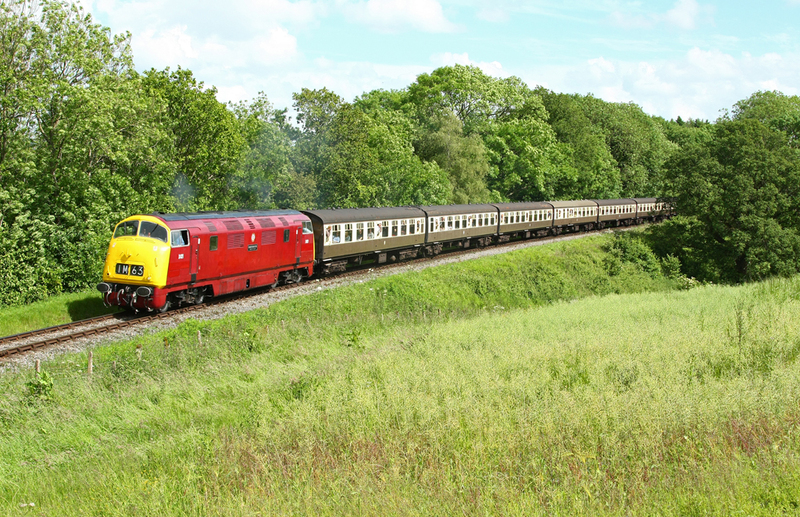 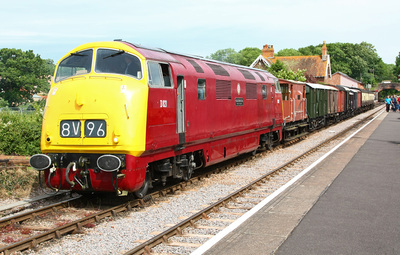 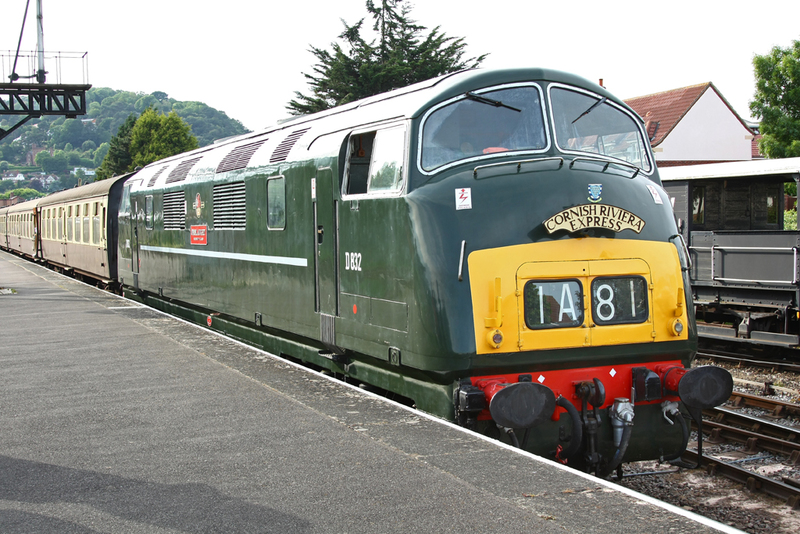 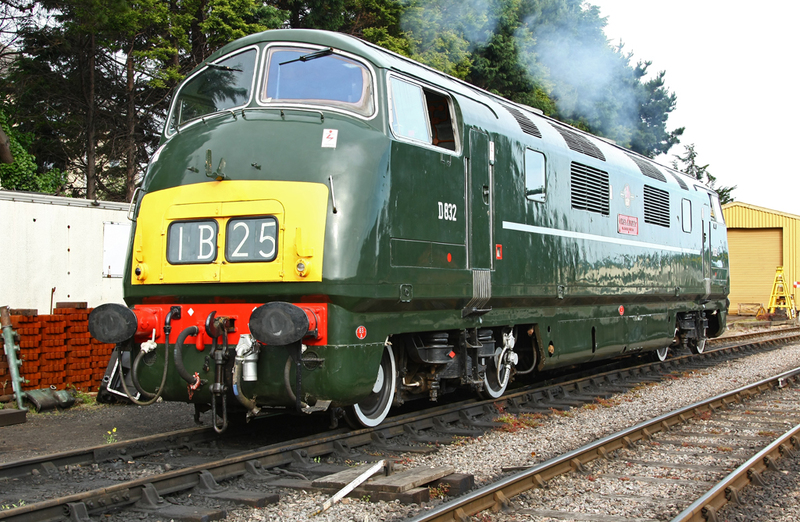 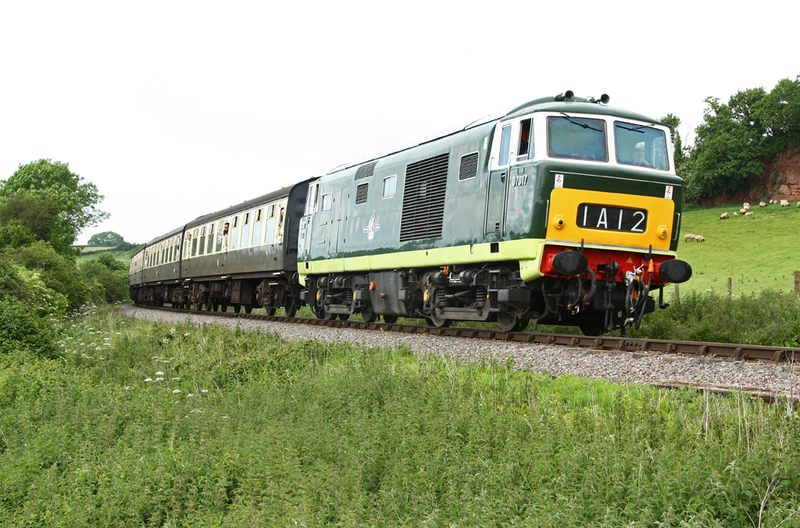 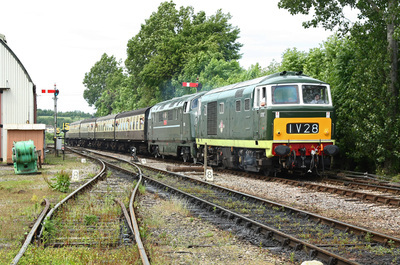 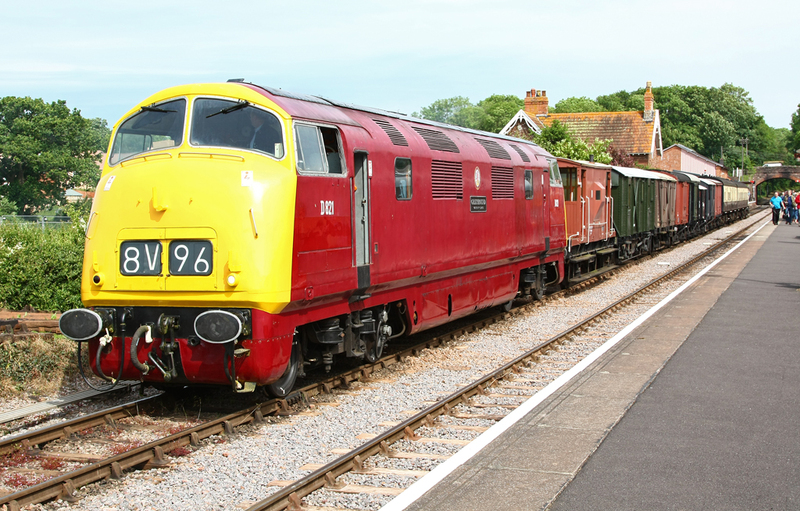 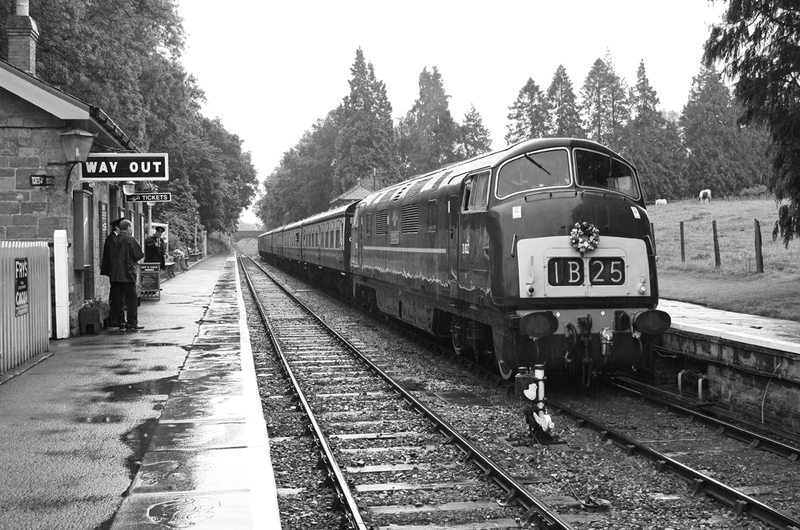 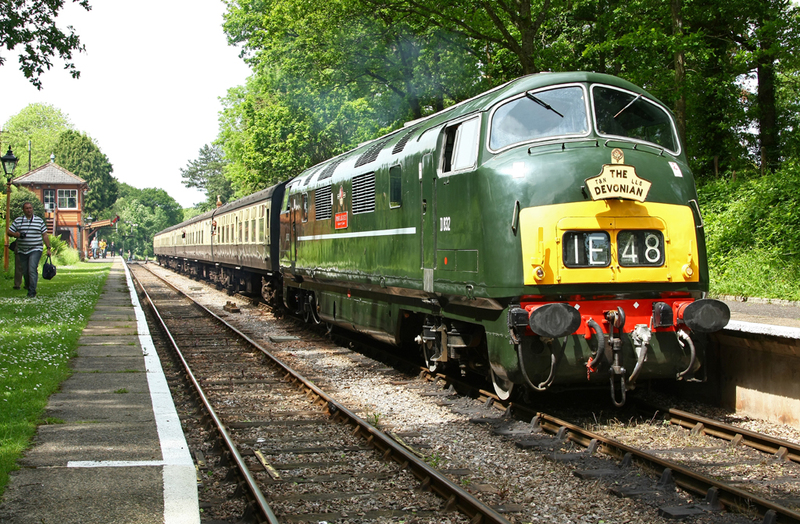 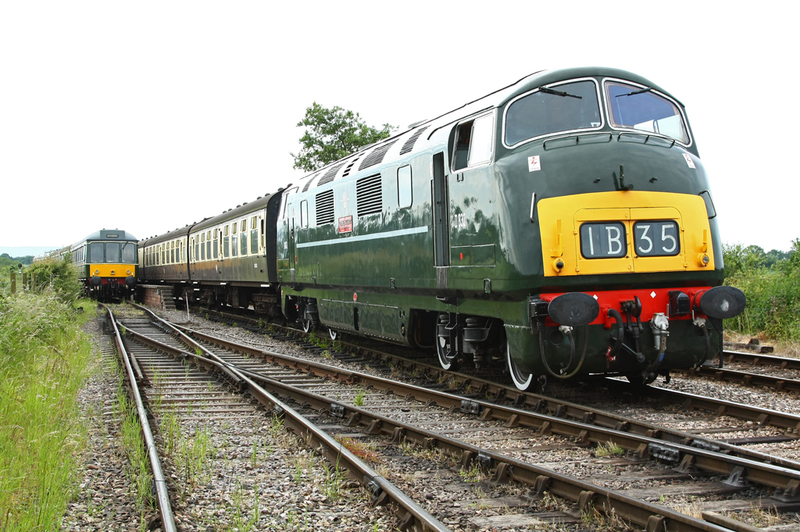 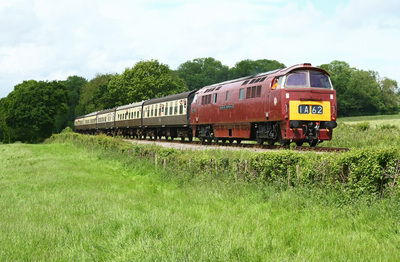 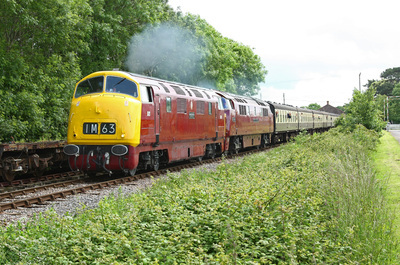 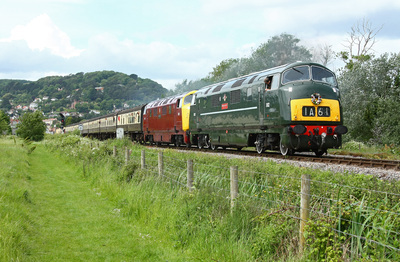 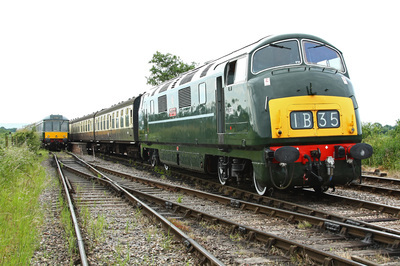 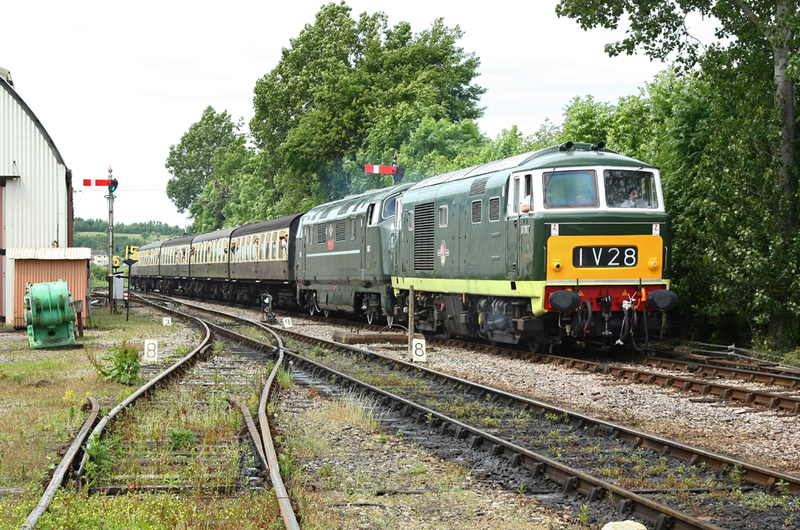 This included Fish & Chips as well as plenty of Ale, with D1015 covering the down run and D832 on the up. 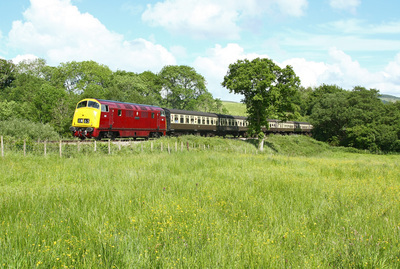 The run with D832 was something to remember, particularly the climb up Washford bank, which she managed very well for a locomotive of her age.